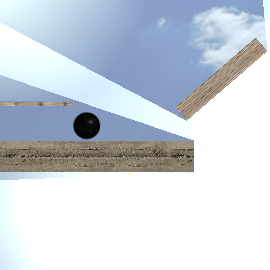 Lights extension provides Light object and Light obstacle behavior. Lights can be created and placed as any other object. You can change their color, radius ( in pixels ), intensity ( A high intensity will create a bright light ), and quality. Quality represents the initial number of triangles that are going to be used to create the light. Be sure to set the quality to 4 at least. A high number will require more processing power. 16 is usually enough. You can also choose if the light is a global light : Whereas a simple light makes things brighter, a global light makes the whole scene darker, excepting area covered by the light. Currently, only one global light can be used on the scene. 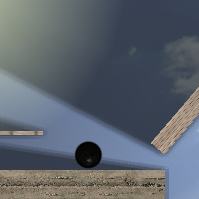 You can added light obstacle behavior to objects so as to prevent lights passing trough them. No setup is required.